Welcome to Indo-European.info, the collaborative Wiki project for the development of the Indo-European demic diffusion model. In this website you will find the history of the development and expansion of Indo-European languages, explained as a combination of Linguistics, Archaeology, Genetics, and Anthropology. You can select subsections from the drop menu. The content of this website is based on the paper Indo-European demic diffusion model, 3rd edition (PDF). Its maps are hosted at Indo-European.eu. 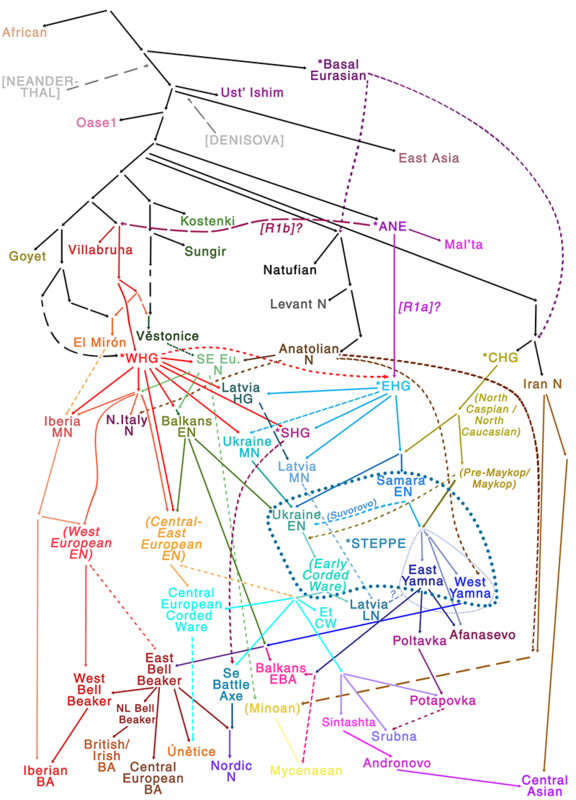 Everyone can collaborate by adding relevant linguistic, archaeological, genetic, and general anthropological data, preferably from papers published in peer-review journals, relevant to the most likely model of expansion of Indo-European-speaking peoples from the Pontic-Caspian steppe. Also encouraged is to directly link these sources, so that the reader can find important documents easily. News and discussion of the model at Indo-European.eu. 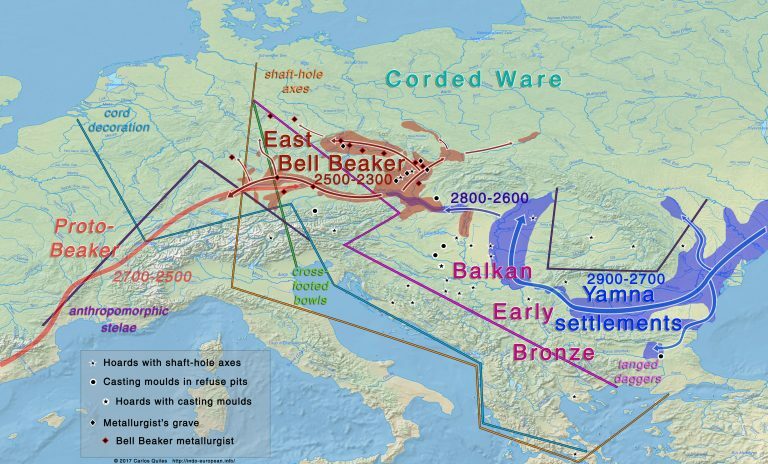 Updated maps of Indo-European migrations. 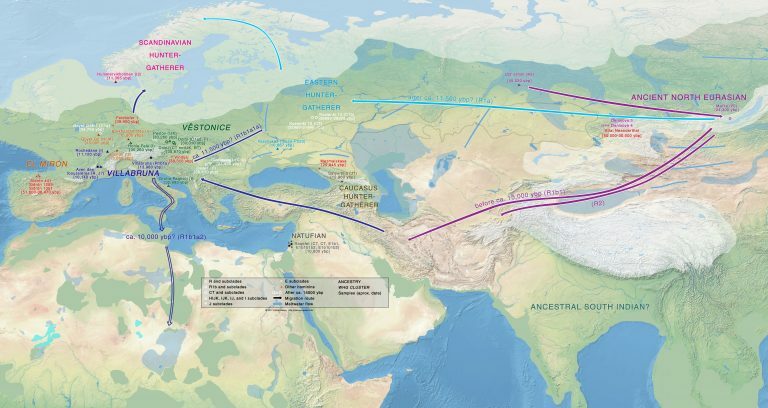 North-West Indo-European, Late Proto-Indo-European, and Uralic.